Among the variety of exhibitions and events in the ongoing Dubai Art Season are two unusual shows featuring artworks one does not expect to see in an art gallery. 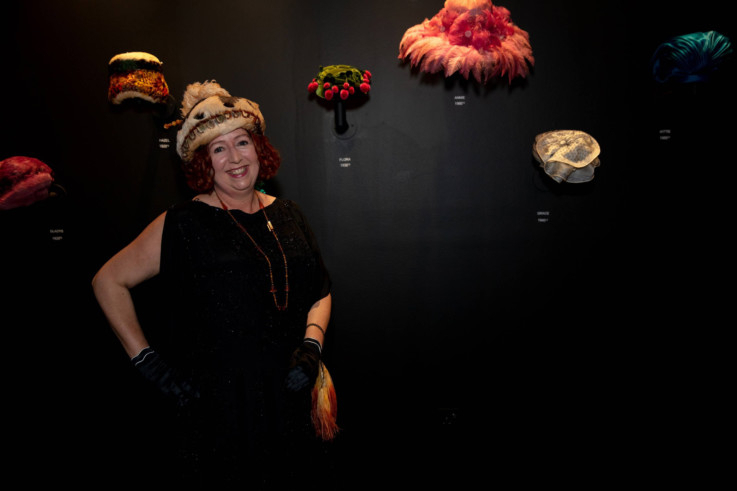 The Fine Art Gallery is presenting living aquascapes created by Sharjah-based Indian artist Huzefa Goga, and La Galerie Nationale is hosting an exhibition of handcrafted vintage ladies’ hats from the private collection of Dubai-based British collector Lynda Kirby along with artistic photographs of the hats by Abu Dhabi-based French photographer Marie Jegaden. Goga is an architect by training and runs an industrial machinery business in the UAE. 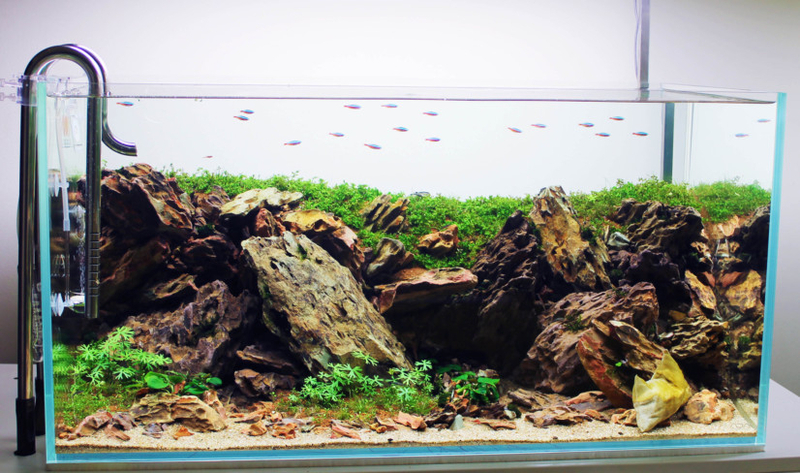 He is a self-taught aquascaping artist and his debut exhibition titled Nature & Me includes a variety of landscapes with features such as forests, mountains, caves and waterfalls presented in aquarium-like tanks. “Aquascapes are not aquariums. They are recreations of natural landscapes constructed with rocks, stones, driftwood and living plants and fish. I was inspired to learn this art form after seeing the work of famous Japanese aquascaping artist Takashi Amano, and I am excited to present the first aquascaping exhibition in the region. These are living artworks that will continue to grow and evolve. They reflect the beauty and inherent balance of nature and help to bring it into our living spaces,” Goga says. The artist’s aquascapes are inspired by his love for nature and each has a different theme. Bangalore to Bombay evokes his childhood memories and emotions about the scenic landscapes he saw on a train journey between the two Indian cities. Miles to Go featuring a forest and a pathway running between mountains refers to the well-known poem by Robert Frost. Falling Waters is modelled and named after a famous house designed by Frank Lloyd Wright around a waterfall. Other works such as We are the World and Gratitude and Belief express his desire to create an environment that encourages viewers to introspect, appreciate nature and feel free to dream and look beyond all horizons. “Aquascaping requires patience and planning. I begin by visualising the landscape and the mood I want to create and then get together a palette of various materials to realise it. I get special plants from a tissue culture laboratory in Denmark, the rocks from Ras Al Khaimah, the driftwood from Indonesia, and small fresh water fish from Japan, the Amazon and other places. The plants and fish will keep growing, so all the works are created by two artists — nature and me,” Goga says. The landscapes are housed in water-filled tanks made from extra clear, nearly invisible handcrafted glass from Japan with specially designed overhead lights and carbon dioxide supplied through concealed cylinders to aid plant photosynthesis. “Aquascaping is an art but it is also a science because it is about building living ecosystems underwater. The real artistry is in creating and maintaining the balance of various elements such as the light, carbon-dioxide, ammonia level and pH of the water. When everything is perfectly balanced the plants look crisp and clean, the colours on the fish become very bright, and there are no smells. 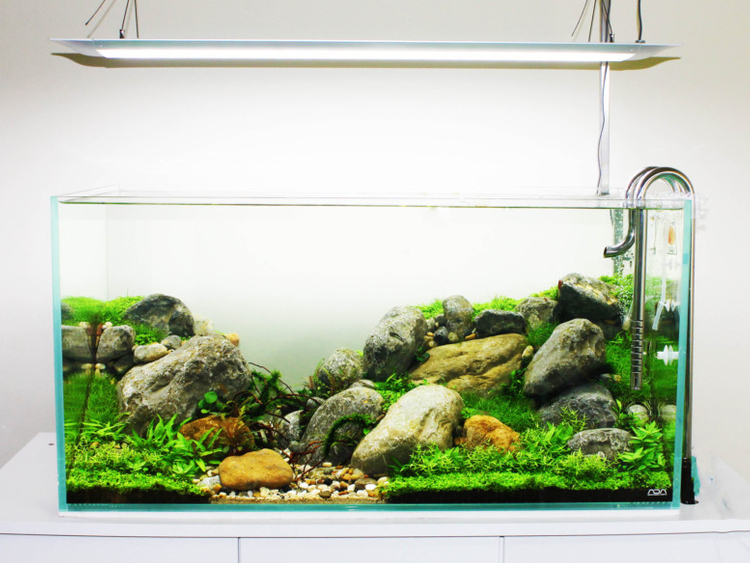 Once the aquascape is well established, it requires basic maintenance such as replacing a small portion of the water every fortnight and occasional trimming of the plants,” Goga says. “To highlight the importance of the conservation of nature I do not use any plastic or wild caught fish in my aquascapes. I hope this exhibition will encourage viewers to appreciate the beauty and balance of nature and protect it,” he adds. La Galerie Nationale’s show, Haute Couture: Ladies’ Hats and Photography (1920-1960) will appeal to art and fashion lovers, especially race goers who are gearing up for the Style Stakes at the Dubai World Cup to be held tomorrow. The show has been conceptualised by Dubai-based fashion designer and artistic director Bruno Fuscien-Trasan. It showcases a selection of rare, one-of-a -kind handcrafted vintage hats from Kirby’s collection alongside limited edition photographs of the hats shot by Jegaden. The hats come with certificates of authentication and documented provenance, and buyers have the rare opportunity to own both a hat and its photograph. Kirby has a passion for collecting and wearing vintage clothes and accessories. She collects vintage jewellery, clothes, bags, gloves, shawls and scarves, but she especially cherishes her collection of vintage hats sourced from around the world. She regularly participates in the vintage section of the Arte Market through her label Audreys Cat, and has collaborated with Fuscien-Trasan, who also loves vintage haute couture, to organise vintage events featuring clothes and accessories. “My passion for vintage pieces was inspired by a 1950s rhinestone brooch my grandmother gifted me when I was 12. I like to dress up in vintage clothes and accessories for special occasions, but there is never a day when a vintage piece is not part of my outfit. I particularly enjoy wearing vintage hats because they are statement pieces and nothing tops a beautiful outfit like a perfect hat. I hope visitors will appreciate and enjoy the craftsmanship and the history of these unique and timeless works of art that tell stories about a bygone era. High quality vintage pieces are to love, and they keep increasing in value. They enhance a woman’s personality, give her confidence and are guaranteed to get her compliments, so I hope this show will inspire more women to wear vintage hats and accessories,” Kirby says. The show features hats from the 1920s to the 1970s in various colours and styles, and Kirby has given each one a name. One of her favourites is Flora — a green velvet hat from 1930 adorned with a bow and cascading strawberries designed by Hattie Carnegie, whose work is seen in many prestigious museums. She has named a glamorous green top knot feathered hat from 1930 that would be perfect for the races after her aunt Sylvia, who has been an inspirational figure in her life. Other beautiful pieces include a 1950s teal silk royal turban style hat designed by Edna Wallace; a raffia ‘cake’ hat from Louisiana, USA that would typically be worn to church; and printed, feathered, veiled, bucket style, saucer style and pillbox hats designed by well-known designers such as Christian Dior, John Boyd, Lidia Lipkowitch and Connor. The accompanying photographs highlight the colours, delicate construction and beauty of the hats and look like classical paintings by Rembrandt or Turner. Fuscien-Trasan used his experience as a costume and set designer for opera houses and dance companies to stage the dramatic photographs in a specially created studio within Jegaden’s studio. Jegaden has beautifully captured the play between the dark background and the light falling on the hats and the folds of fabric on which they are placed to create movement and bring the images alive. “These hats are an artistic expression of femininity, so we wanted the photographs to evoke the presence of the women who wore them and the memories and secrets they hold. This exhibition is an ode to the creativity and craftsmanship of the designers who created these wearable works of art, hence I worked with the gallery’s director Guillaume Cuiry to create a museum-like ambience to display them,” Fuscien-Trasan says. Nature & Me will run at Fine Art Gallery in Al Quoz, Dubai until April 4. Ladies’ Hats and Photography (1920-1960) will run at La Galerie Nationale in Alserkal Avenue until October 10.